This entry was posted on 5/11/2016 08:34:00 AM and is filed under 2016 Election , Donald Trump , HILLARY RODHAM CLINTON . You can follow any responses to this entry through the RSS 2.0 feed. You can leave a response, or trackback from your own site. Glad to see him ousted. Hillary definitely has a heartless aspect, but her constituents at least have a brain. 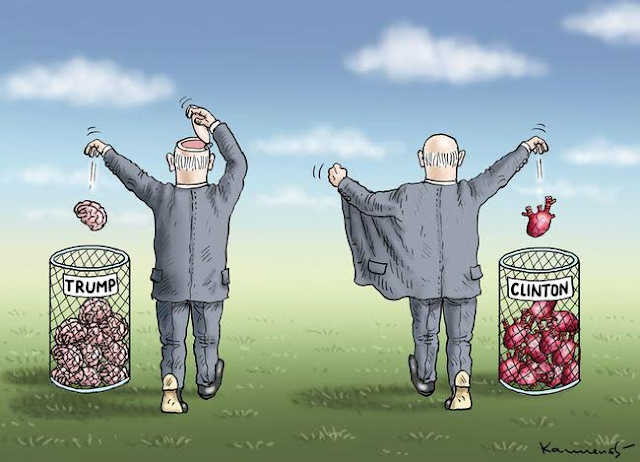 I think I'd vote for brains, thanks. We've had enough of the Idiocracy, thankyewverymuch.